Fall in love with your vinyl again! 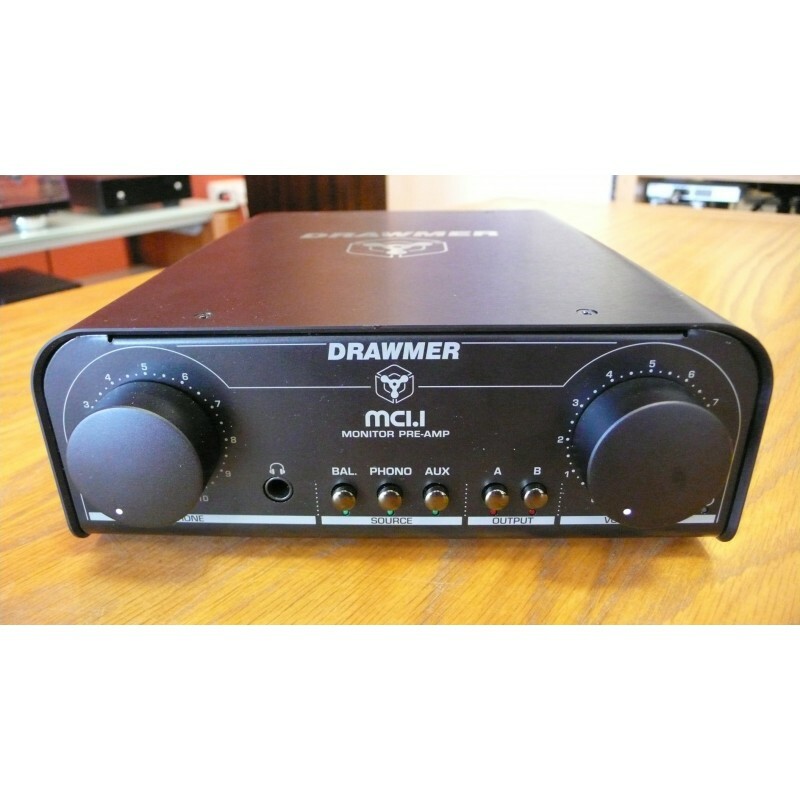 Hot on the heels of the Drawmer MC2.1 well known for its functionality and transparency comes its new sibling the MC1.1 Monitor Preamp, offering the same fantastic sound but with a revised feature set more suitable for a less complex post production booth or home use where multiple speaker setups are not permissible or even required, and with the addition of a new RIAA phono stage the MC1.1 is a great solution for your precious turntable setup. The front panel is dominated by the two large, independent volume controls for the main line outs and the headphone amplifier, both incorporate a paralleled custom quad pot for excellent channel matching and the smoothest possible action. There are also individual switches for each input source and output section making an elegantly simple yet functional user interface. Ultra low noise and transparent circuit design. Linear power supply with low hum toroidal transformer and internal voltage selector switch. 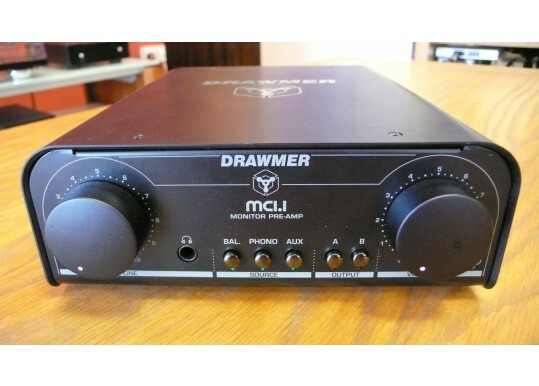 3 Input Sources - Balanced XLR, MP3 Player 3.5mm Jack & Switchable Line/Phono (RIAA MM) RCA. 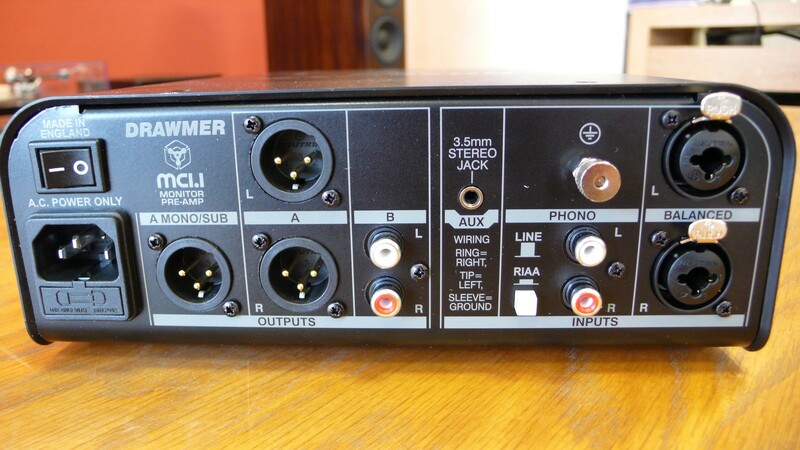 Two switchable output stages, Balanced XLR and RCA. Mono Sub woofer output available simultaneous to balanced outs. Parallelled custom quad pots on main and headphone level controls for excellent channel matching and smooth feel. Independent volume controls for the main outputs and headphone section. Rugged steel chasis and stylish brushed aluminium cover. Can be stacked and is rack mountable (with the MCB 2U mounting kit). Dimensions: L 272mm x W 215mm x H 81mm. Weight: 2.5kg. 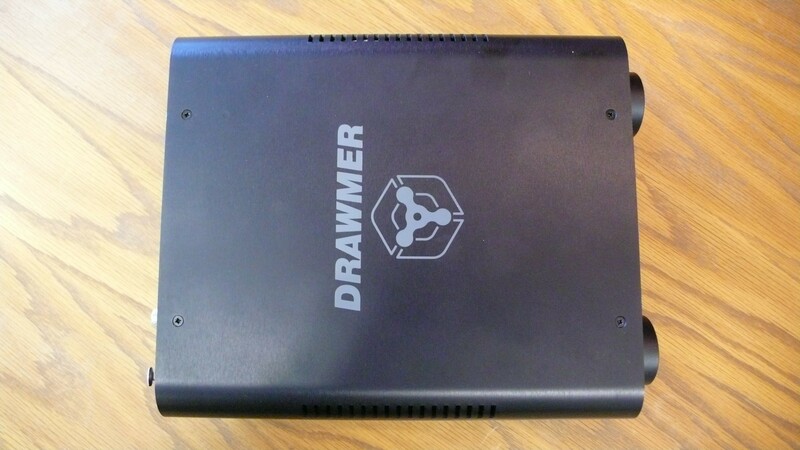 Designed and manufactured by Drawmer in the UK. 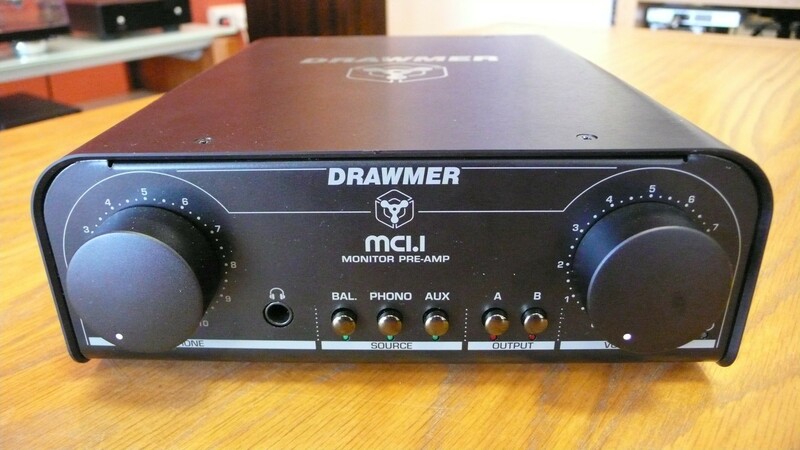 Your Inquiry about Drawmer MC1.1 Pre/amp phono-stage and headphone amplifier is Successfully Submitted.